If New York legalizes marijuana, how will BU’s policies change? Sidney Slon/Pipe Dream Photographer BU may be forced to re-evaluate its policies on marijuana use if New York state legalizes recreational marijuana. In December, Gov. Andrew Cuomo confirmed what many may have already suspected — New York state is moving toward legalizing recreational marijuana, a policy shift that could impact Binghamton University’s rules and practices regarding marijuana. According to BU’s 2018-19 Code of Student Conduct, possession, personal use or purchase of marijuana is prohibited on campus. The possession of drug paraphernalia, such as bongs, bubblers, bowls and pipes, is also banned. If a student fails to comply with these regulations, they could face disciplinary sanctions. According to Ryan Yarosh, senior director of media and public relations at BU, the University is currently required to prohibit the use of marijuana by the Drug-Free Schools and Communities Act Amendments of 1989 (the Act), which states that schools receiving federal funding must impose consequences for illicit drug use on campus. However, if New York state legalizes recreational marijuana, it is unclear what University policies might change. 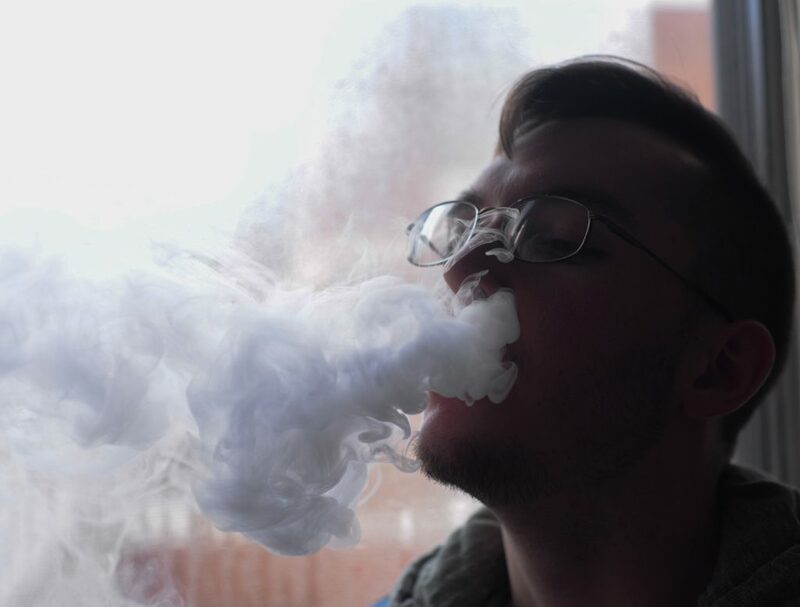 Under the Act, the University will be expected to continue to impose sanctions if students are caught using or possessing marijuana because the drug is classified as a Schedule I controlled substance by the federal government. The biggest changes may be seen in how campus law enforcement handles situation involving marijuana. Currently, Binghamton’s New York State University Police Department (UPD) has the authority to arrest and ticket those caught with marijuana. They also may refer offenders to Student Conduct. UPD Chief John Pelletier wrote in an email that it is up to the officer’s discretion to decide whether or not to arrest a student in possession of marijuana. In 2018, UPD took 262 reports of illegal drugs or marijuana on campus, resulting in 91 arrests. But if New York law changes to allow recreational marijuana, UPD may find itself in a situation where the state law contradicts University policy. Officers also would no longer be able to arrest those caught with marijuana, although they could still refer them to Student Conduct if the University’s policies have not changed. Elizabeth Nutig, a sophomore majoring in philosophy, politics and law, said if marijuana is legalized it should be treated the same as alcohol, which students are permitted to have on campus, provided it is in limited amounts and the student is of legal age. According to Yarosh, the decision of how the University will handle legal recreational marijuana will ultimately lie with the SUNY system. Jasmin Randhawa, a sophomore majoring in business administration, said she thinks BU’s current policy on cannabis use is too severe, and if marijuana is legalized, it should be changed.